3 levels of WHITE light brightness (2 leds, 10 leds and 18 leds) and a RED Flashing mode are available. 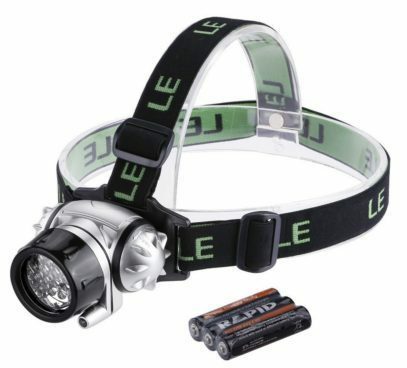 Weighing only 2.85oz and with its easily adjustable, elastic headband, the headlamp is perfect for anyone who needs a headlamp. The IP44 rating means it is protected against splashing water from all angles. 3pcs AAA alkaline batteries are included for your convenience.